Do you have back pain every morning? When’s the last time you changed your mattress? If it’s been over five years, your back pain, stiffness, and soreness may be a result of a miserable night’s sleep on an old mattress. Over time, mattresses lose their ability to support a neutral sleeping posture properly. The material wears, and the springs become displaced, often poking you or causing uncomfortable pressure points disturbing your sleep throughout the night. Depending on the brand, some mattresses may never have offered much support, to begin with. 2. Promote Good Posture and Spinal Alignment: This is essential for the health of your spine and posture. It is the key to waking up without pain or stiffness. 3. Repels Dust Mites: Dust mites are known to thrive in mattresses because of the warm environment and plentiful food (dead skin cells). Dust mites can cause skin irritation and respiratory illnesses. 4. Resists Mold and Mildew: Mold can quickly spread on a mattress, causing bad odor, respiratory issues, and rashes. 5. Must Be Firm: Overall, you don’t need a space-age mattress. If you’re on a budget, one of the top things your mattress must have is firmness. Latex Mattress: We recommend 100% natural latex mattresses – not blended latex. 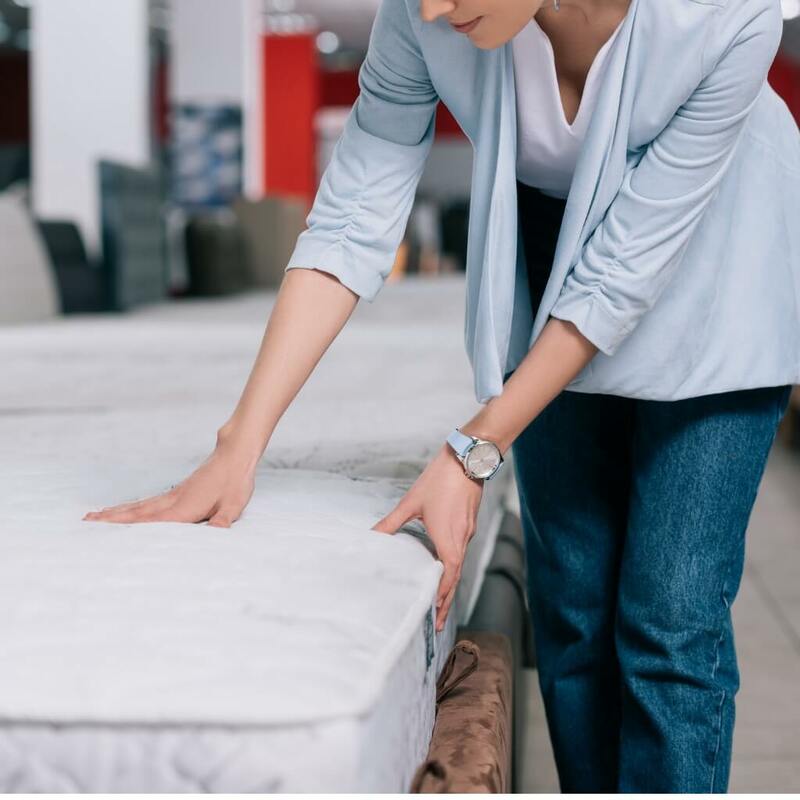 Although it has the most significant price tag, research has demonstrated that latex mattresses offer outstanding support if you suffer from back pain. What’s more, the composition of latex works to resist mold, mildew, and dust mites effectively. Memory Foam Mattress: Mattresses made from memory foam are a popular choice, as they also offer excellent comfort and support. The critical advantage of memory foam is that it molds to the shape of your body. This provides support and creates a comfortable surface for sleep. If you are a side sleeper, opt for a mattress with a slight softness to cushion the shoulders and hips. If you sleep on your back, opt for a medium firm mattress. The supportive nature of memory foam allows you to retain good posture while you sleep. This helps to promote spinal alignment, which can alleviate back pain and sore joints. Sleep Number Mattress: Sleep Number beds are a combination of an air-filled chamber with other mattress materials. This helps create the varying firmness without losing the feeling of softness. When adjusting the number on the bed, you are changing the level of air pressure in the chamber. This is great for couples because they can adjust the degree of firmness on each side of the bed, without having to compromise on one type of mattress. Ultimately, any mattress that is firm will do. You can always add a soft top to customize your comfort level. However, this option may not last as long as the three types of mattresses and in the long run not save much money as you need to replace more often. When buying a new mattress, consider it a long-term investment. A big price point now will pay for itself when the mattress lasts much longer, and you wake up feeling great.